Accept credit cards with our mobile card readers. Create and email invoices in minutes. Need help building an online store? 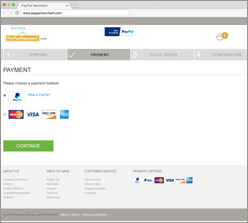 Solution providers with PayPal already built in. 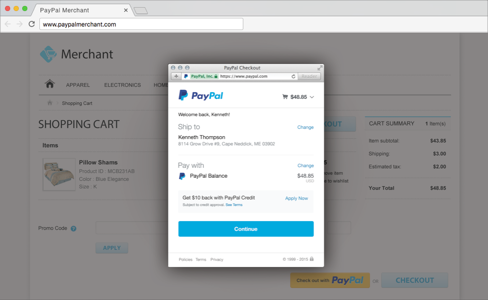 Add our Express Checkout payment button to your site for the millions of shoppers who prefer paying with PayPal. 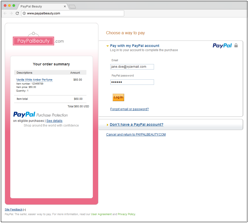 *As reported in Nielsen’s Online Panel research for activity occurring from July – November 2015, which compared PayPal transactions to non-PayPal transactions on sites that offer PayPal as a payment option. Nielsen measured 125,000 households’ online behavior across 10 SMB merchants. Copyright 2016 Nielsen.